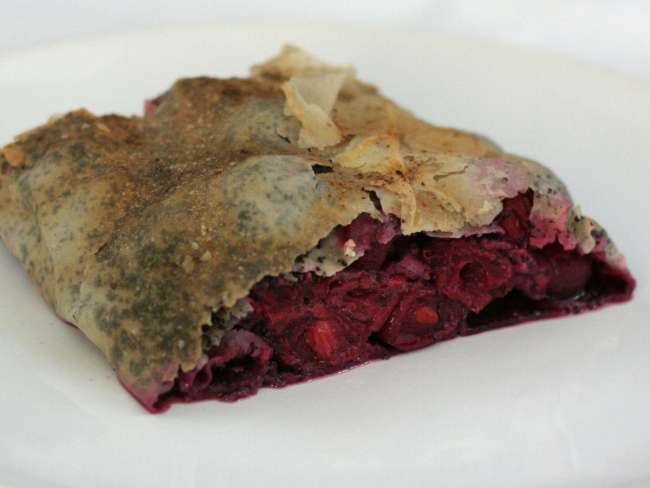 Traditional recipe for the best strudel, as our grandmother learned it from her grandmother. 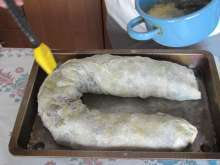 Ingredients for the dough are suitable for two strudels from a kilo of flour. You can make poppyseed one and other cream cheese or apple one. Sift the flour through the sieve to the working board. 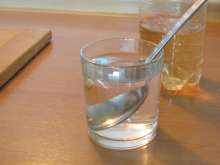 Add vinegar into the lukewarm water and blend it. Add egg, pinch of salt and soften butter. At the beginning blend with the cutlery knife and later on, knead with the hands. Finally slam the dough against the working board until is not sticky. 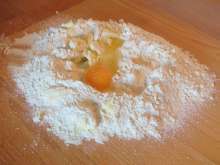 Divide the dough into two same sized loaves and set on the floured board. Cover with the heated, adequate -sized saucepan. Let it stand for 45 minutes. 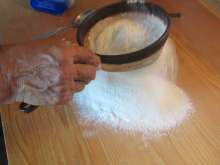 Spread white tablecloth or sheet on the table and slightly flour it. 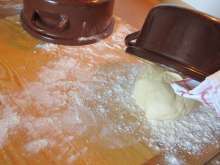 Spread the flour over the whole surface to stop dough from the sticking during its stretching. 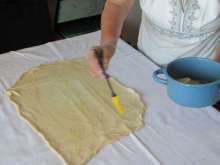 Start dough to stretch on the tablecloth. From time to time drip with melted butter. Continue with stretching until the dough is not breaking too much. Never mind if the hole occurs. Almost transparent thin dough is the result. Cut off the edges around the whole circuit. 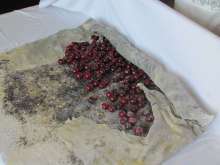 Layer ground poppyseed, sugar and cherries over the half of dough surface. 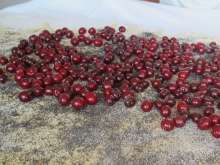 If you want stoned cherries, you have to let it drain after stone removing and sprinkle the dough even with the breadcrumb. Lifting up the tablecloth through the filling fold the dough on three sides so the filling holds inside during the baking. 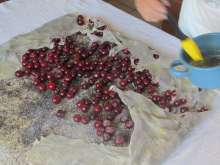 Continue in rolling from wider side with the help of the tablecloth. Replace the roll on the greased baking tray into the shape of horseshoe. Drip with remaining melted butter and spread it over the surface. Bake in well preheated oven at 465°F (240°C) until golden.